Dr. Allison Lesko and her family had always dreamed about living in Colorado, so starting a practice in Fort Collins was a perfect fit for her. Growing up in Olathe, KS, a suburb of Kansas City, she gained a fond love for BBQ and Royals Baseball. She attended Kansas State University and graduated with honors in 2003 with a Bachelor of Science in Psychology. While at K-State, she was a coxswain for the Kansas State Rowing Association men’s crew team. Dr. Lesko earned her Doctorate of Dental Surgery from UMKC School of Dentistry in 2007 and completed a General Practice Residency at Truman Medical Center in 2008 which further expanded her clinical skill set. Following her residency program, Dr. Lesko joined a progressive dental office in Salina, Kansas where she practiced for 8 years. Continued education and patient comfort are passions of Dr. Lesko’s. She strives to provide exceptional dentistry while creating a calming and welcoming environment. She is committed to completing at least 100 hours of dental continuing education each year and focuses primarily on regenerative procedures such as grafting, implants, cosmetics and advanced sedation techniques. She is dedicated to giving back to the underserved by participating in numerous annual local outreach events such as Give Kids a Smile and Mission of Mercy. She has provided dental care internationally, most recently to the remote communities of the Dominican Republic. Being part of the community here in Fort Collins and finding ways to do good locally is important to Dr. Lesko and her dental team. They look forwards to finding ways to make a positive impact on the community. Dr. Lesko is active in multiple organizations and local leadership roles. She is an active member of the American Academy of Cosmetic Dentistry, Dental Organization for Conscious Sedation, American Dental Association, The Crown Council and Colorado Dental Association. Dr. Lesko was a highly active member in the Kansas Dental Association and the Salina Dental Society. She has served as the Salina Dental Society President from 2009-2016, Campaign manager for Keep Fluoride referendum campaign in 2014 and the Volunteers Co-Chairman for the 2015 Kansas Mission of Mercy. Her dedication to improving dentistry and public health have thusly earned her awards as the American Associate of Public Health Award in 2007, Crown Council’s Young Dentist of the Year in 2011 and Soaring Eagle Award in 2015, Kansas Dental Association’s Special Presidential Award in 2015 and Outstanding Community Leader by Oral Health Kansas in 2015. Dr. Lesko has been honored to share her experience and knowledge at multiple national dental conferences regarding her experience and strategies utilized during the Keep Fluoride campaign. Outside of dentistry, Dr. Lesko and her husband Michael enjoy spending time with their two little girls; Lorelei and Annika. Michael was a software engineer but after the birth of their first child decided to stay home. He is also a certified yoga instructor and loves sharing his practice with those wanting to challenge themselves mentally and physically. The Lesko’s love cooking and doing yoga together but it’s their family music time at the piano which is one of their most cherished moments. You’ll be sure to see the family out enjoying the outdoor recreations here in Colorado. Whether it’s in dentistry or in her personal life, Dr. Lesko enjoys challenging herself and taking time to enjoy life’s journey and the people who share it with her. 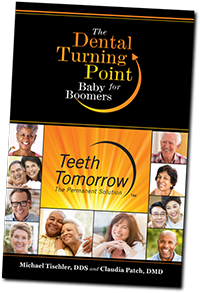 I’ve struggled with my upper denture for years and when Dr. Lesko recommended using implants to have a more secure fit I was intrigued. I enjoy my new teeth and I am surprised on how easy the process has been. —Jack S.
Dr. Lesko and her team have been wonderful and very supportive in helping me overcome my dental anxiety. I appreciate how they listen to my needs and make dentistry easy. —Sandra C.
I would describe my new smile as life changing. Dr. Lesko created a beautiful smile for me which has given me so much confidence that I’ve been able to go after my dream job. —Sierra V.